Avon Fire & Rescue service reported 12 assaults on their staff between January 2017 and 30 .July 2018. 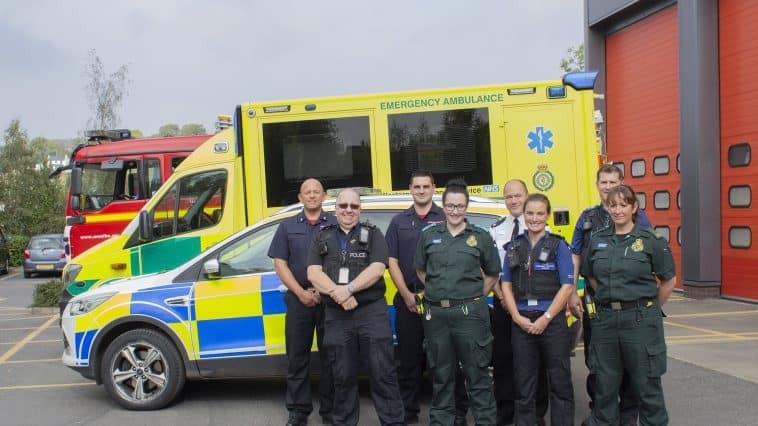 South Western Ambulance Service Foundation Trust (SWASFT) reported 1,049 assaults on their staff between January and December 2017, which is an increase of 97 reports on the previous 12 months. Bournemouth NHS saw 236 assaults during this time. Sadly, it is thought that these figures do not represent the entirety of assaults in the region, as many are never reported by the victims. Superintendent Rhys Hughes from Avon & Somerset Police, said: “Officers put their lives on the line to keep the public safe every day and don’t join the service to be physically or emotionally abused. Emergency service colleagues regularly go to work knowing that they may be assaulted, something you wouldn’t expect in most other professions as part of your job. If you assault our officers, we will bring criminal proceedings against you, which could result in you being imprisoned. Please get involved and show your support by posting your photos or videos to Twitter with the hashtag #Unacceptable or on the Facebook page UnacceptableNotPartOfTheJob. Full details are given on www.devon-cornwall.police.uk/unacceptable or www.dorset.police.uk/unacceptable.